2016 has been a tumultuous year for the politics of guns, race, and police relations. Several newsworthy events from mass shootings, to police shootings, to what appears to be related retaliation have occurred. These events have heightened tensions in an already polarized nation, with each side believing the other to be in some way responsible for the violence. 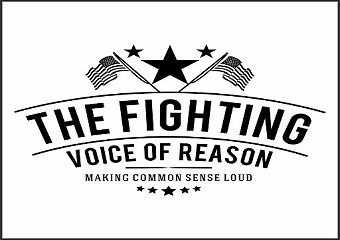 Pundits and so called experts drive the debates with provocation, the goal seemingly not to address any deeper causes or solutions, but to win a shouting match and pit Americans against each other. In this dialogue of the deaf (as the French call it), there is one critical missing element. That element is the almost fifty years’ war on drugs. It is the cornerstone that ties the three subjects together. If America cannot solve the drug war issue, no amount of gun control or gun rights, racial understanding, and police training will ultimately solve the other three issues. Just as the war on alcohol did in the 1920’s, the war on drugs has fundamentally changed the nature of gun violence and the criminal justice system in this country. As far as race is concerned, it has continued a de facto societal segregation that should have ended with the dismantling of legal segregation in the 1960’s. The drug war transformed law enforcement and criminal justice in America: introducing the mass use of warrantless wiretaps, property seizure without trial, incarceration numbers that are greater than in any other nation on earth, and the regular use of SWAT teams as well as a general militarization of the police. It also overburdened law enforcement and the justice system in such a way that it is at a permanent breaking point. The drug war introduced the idea that any problem that society has can be solved by a law and the police. How can a supposedly free country live with such a paradigm? Ultimately it cannot. 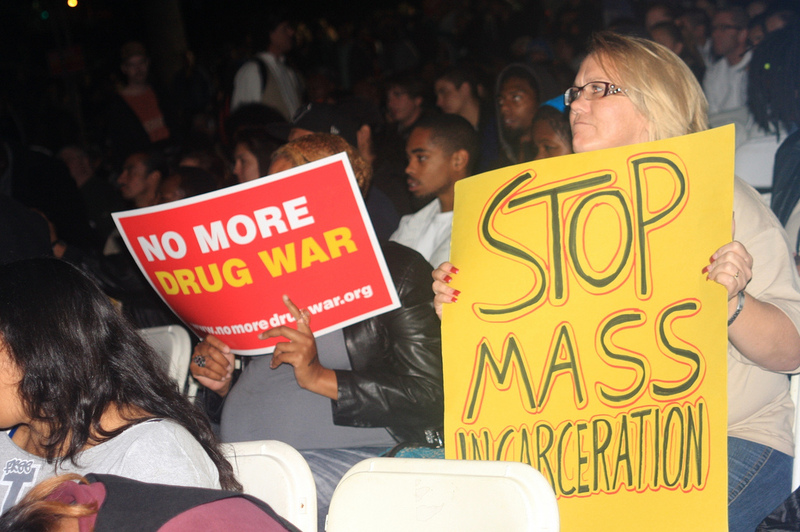 The drug war is a policy that is simply in opposition to the most basic concept that America stands for: freedom. No one is saying that drugs are good or should be encouraged, but a war is absolutely not the manner in which a free country should deal with such a problem. It has caused far more problems than it has solved, most notably the erosion of basic rights and the spirit of the Constitution. Today the police can be so militarized that even upper middle class white suburbanites can point to examples of SWAT teams and armored vehicles showing up in their streets invasion ready. Even western WHITE countries warn their citizens by their own foreign ministry advisories of the potential heavy hand of law enforcement in America. But as much as the militarization of the police is making itself known in white America, black America feels the brunt of decades of bad policy and bad law leading to the inevitable boiling point that has defined the current year. When legal discrimination against black Americans ended in the 1960’s, a great many citizens in that demographic were poor and uneducated, not because they were black but because they had institutionally been denied the same opportunities that other Americans had been afforded. As black Americans had just begun to enjoy the opportunities that their fellow citizens had long enjoyed, drugs were made strictly illegal and thus expensive. It is after all the legal risk involved in the production and trafficking of drugs that make them so lucrative, not the products. And, as has been observed the world over one’s race, ethnicity or religion have no bearing on the lure of instant and overwhelming sums of money to be had by illicit drugs. The unifying factor is poverty. If there is an illegal drug market it becomes irresistible to the poor. The illegal substances instantly enrolled thousands of poor, young, black men into the business of selling them across the country and vastly increased the power of law enforcement and the criminal justice system in America. This is logical because drug offenses are not the type of crimes that people call in to the police and report. Neither party has an interest in notifying the law, which means that the police in America had to become much more aggressive in trying to catch drug traffickers than they did with other sorts of crime. Strategies that are questionable in their constitutionality instantly became the norm and since black people occupied the largest demographic of the poor, they quickly became the most significant target of the war on drugs and the newly heavy handed criminal justice system that came with it. In a way, the introduction of the drug war negated the fact that for the first time in America, black people were truly legally free. Not only did black society become the most important target of the criminal justice system, but they also became the demographic most likely to kill and be killed in the war on drugs. The high price of drugs through their illegality fueled conflicts related to territory, business disputes, and of course the informant system. This is far more responsible for the daily drumbeat of gun violence in America than a specific rifle or a loophole in the law. This drumbeat is especially loud in black America. As the maxim goes, history repeats itself. The exact same situation happened in the 1920’s, except at that time it was poor white immigrant communities that were besieged by gun violence. Unfortunately, America did not learn from history and until it does, large amounts of gun violence will continue, along with an unfair perception that black Americans just cannot seem to follow the law and that police are targeting them more than other groups of Americans. All three points are technically true, but not because black people are inherently unable to follow the law or respect the police, but because bad policy has created bad law that has permanently consigned a segment of black Americans to a vicious cycle of poverty, crime, and incarceration. Had immigrant Italian, Jewish, and Irish neighborhoods of the 1920’s been subjected to fifty years of failed policy with a war on alcohol, their trajectories in American society and their relationships with gun violence and law enforcement might have been different as well. If America wants to solve the gun violence problem and the race and police relations problem, it will have to change how it approaches drug use. Instead of treating drugs largely as a law enforcement issue, America should treat it as a health issue. Drugs should be decriminalized. That is the only strategy that will take the money out of it. If the money is gone, why would poor people, many of whom in this country happen to be black, get involved in it? They would not. And they would also not be breaking any laws or joining drug gangs armed and fueled by the vast sums of money that only ILLEGAL drugs could ever provide. Decriminalization would largely put an end to the scenes of poor and often black members of society being overly targeted by law enforcement and the criminal justice system as a whole. It would also put an end to the daily body count that is so prevalent among black America. Most importantly though it would help to close a racial divide that is far too large for the stability of America. Without talking about the drug war and a serious change of strategy, America cannot effectively talk about gun violence and race and police relations, which are so often in the news today.